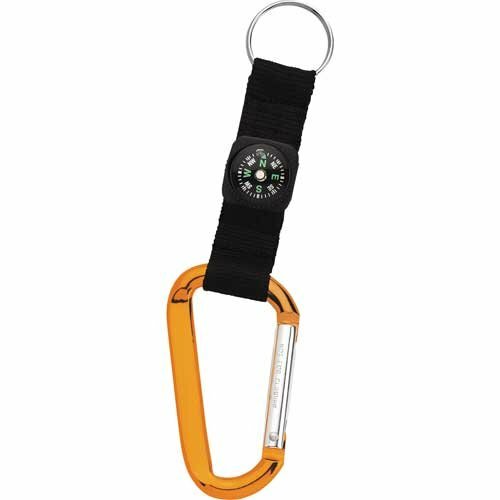 Keychains may be old world and classic handouts that have the basic function of holding keys. 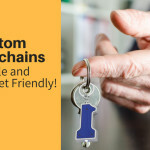 However, keychains have come a long way since its modest origin as plain and bland key rings to become stylish and diverse keychains with multiple features and innovations that will match the changing life style of people in the modern robotic world. 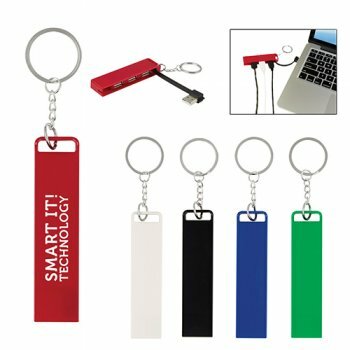 If you are planning a tech tradeshow or want to reach out to a tech savvy audience on a budget, custom keychains with tech features will make smart choices. USB Hub Keychains: You might not have seen something as innovative as these custom Printed 3 Port Traveler USB Hub metal Keychains. It makes a great way to connect your brand to the tech-savvy audience who lives in a plugged world of gadgets for most part of their active hours. These fashionable yet tech friendly USB metal key rings will make a great way to put your brand right in the eye span of these target demographics. The integrated cord allows adding 3 USB ports to computer or laptop to other additional peripherals such as Printer, Mouse, etc. Every time your recipients carry their keys they will have a handy way to access their devices and stay plugged in! Put your brand and message on these high utility gifts and leave a lasting impression. These are perfect for office, home or on the move and to reach out to audience of millenials and gen Xers. Your recipients will keep this functional handout with them to access music, movies or office work any time anywhere. These on-trend custom gifts will show your fashion forward identity of your brand and will make sure that your recipients are never left behind in the technical world. 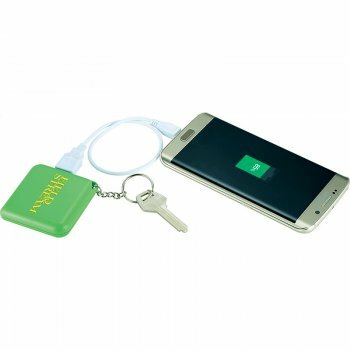 Emergency Keychain Power Banks – 1800 mAh: These multi functional plastic keychains offered in brilliant green color and individually gift boxed will make great promotional gifts for tech tradeshows, business events and employee appreciation days. The rechargeable lithium polymer Grade A battery is powerful enough to charge a Smartphone, MP3 player or other handheld electronic devices. A USB cable is included in the pack to make the charging process easy. Imprint your brand or artwork on the generous imprint space of these keychains to grab the eyeballs of everyone around. Everytime your recipients will have their keychains in hand, they will always have a reliable power back up in hand to keep the gadgets up and ticking. These logo items are great for road warriors and people on the move as these powerbanks will save their day that could otherwise have been doomed by power blackout. Your recipients will feel reassured by these gifts and your brand on this will naturally earn a place in their good books too. Need more? Browse our extensive collection of custom keychains and choose multifunctional models that will leave your audience awestruck and keep your message stand out in the competitive business world.